Meet and assist on arrival and proceed from airport to Colombo. Overnight stay at hotel in Colombo. 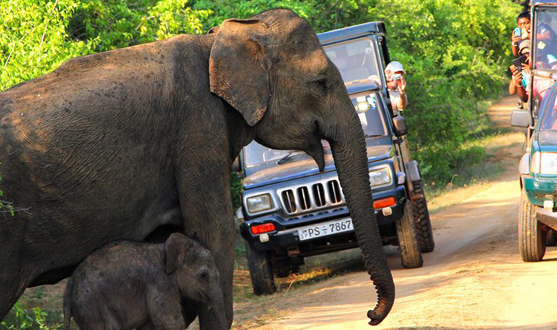 Transfer from Colombo to Minneirya (enjoy Minneriya Safari) a hot spot for safari lovers because of its abundance of elephants. Overnight. 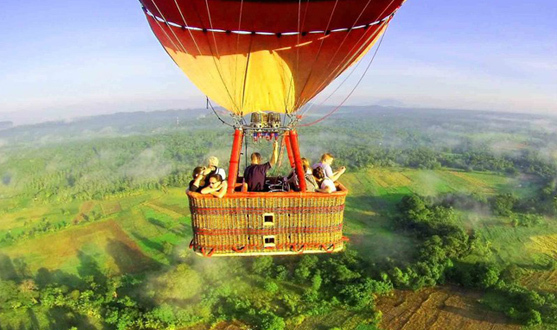 Breakfast at hotel and morning enjoy hot air ballooning at Kandalama & evening enjoy elephant back safari at Habarana. Overnight. Breakfast at hotel. Morning to a Hiriwadunna trekking activity & proceed to Nuwara Eliya. Overnight. 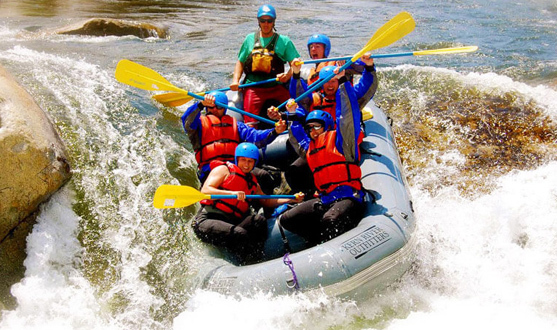 After breakfast proceed to Kitulgala and enjoy white water rafting and back to hotel. Overnight. Breakfast at hotel and proceed to Yala & enjoy a wildlife safari. Overnight. Breakfast at hotel. Proceed to Bentota and enjoy water activites. Overnight. After breakfast enjoy whale watching at Mirissa in the early morning, then enjoy a Galle city tour. Overnight stay at hotel in Bentota. 8 nights' accommodation at the hotel mentioned above. Hot air ballooning Kandalama & elephant back safari at Harbarana. Bentota water sport activities (some are complimentary and some are at your own expense).